Bishop David Graves is the Alabama-West Florida Conference Bishop in Residence. He is from the Holston Conference and is serving his first quadrennium. Bishop David Graves’s passion is sharing Jesus, seeing the overlooked, joining God in transforming lives, and changing the world one person at a time. His study of leadership permeates all his work as a pastor, district superintendent and bishop. As a pastor, Bishop Graves led a small-membership church to become a medium-sized congregation and later a medium-sized church to become a large-membership congregation. He has a heart and hands for missions and has led several short-term (local, national, and international) mission teams. The Acts 1:8 model for missions came alive in the churches he has served. These churches raised hundreds of thousands of dollars for mission work, plus trained laity in hands-on ministry. As a district superintendent, Bishop Graves implemented a district strategy that empowered both clergy and laity with leadership tools for effective and vital ministry. This strategy revitalized several churches that experienced growth in worship attendance and membership; Sunday School and small group discipleship; missional giving and professions of faith. On Christmas Eve 2014, through a district offering, the Kingsport District generously gave more $230,000 for the District Partnership with Giru, South Sudan. Bishop Graves previously served as the Senior Pastor of Church Street United Methodist Church in Knoxville, Tennessee. Prior to Church Street, he served six years as the district superintendent for the Kingsport District of the Holston Conference of the United Methodist Church. In 2011 and 2012, he served as Dean of the Cabinet. 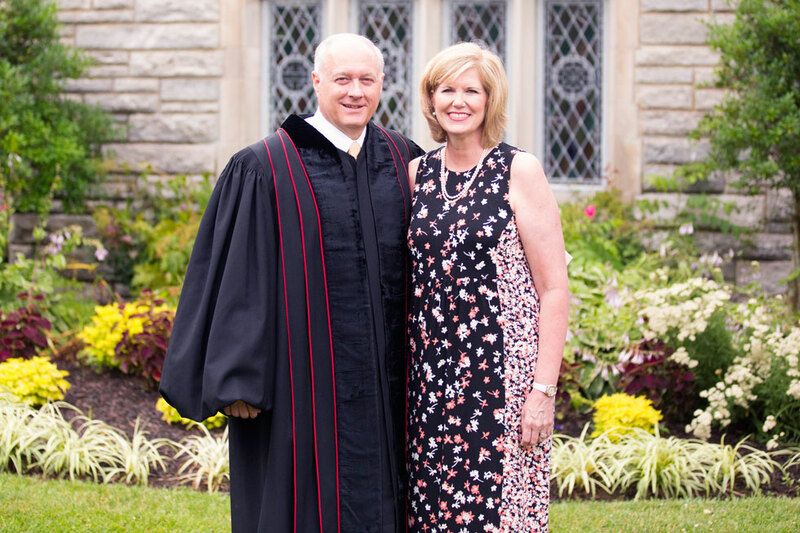 He has been an ordained pastor in the United Methodist Church for over 27 years and previously served as Senior Pastor of Ooltewah United Methodist Church, a large-membership church in Chattanooga, Tennessee, for 11 years. Prior, he served as pastor of two Kingsport area churches, St. Matthew and Mountain View United Methodist. He was on staff and was given his first appointment at Hixson United Methodist Church in the Chattanooga area where he served for 11 years. Bishop Graves is a native of Knoxville, Tennessee, and graduated from the University of Tennessee, Knoxville, with a Bachelor of Science in Business Administration and Candler School of Theology, Emory University, Atlanta, Georgia, with a Master of Divinity. He has shared 36 years of marriage with his wife, Nancy, and they have two children, Casey and Gregg. Casey is married to her husband Bryan, and they reside in Kingsport with their son Brooks and daughter Lucy. Bishop Graves' and Nancy’s son, Gregg, lives and works in the Chattanooga area.